By Laura. Posted September 3, 2011 at 5:30 pm. 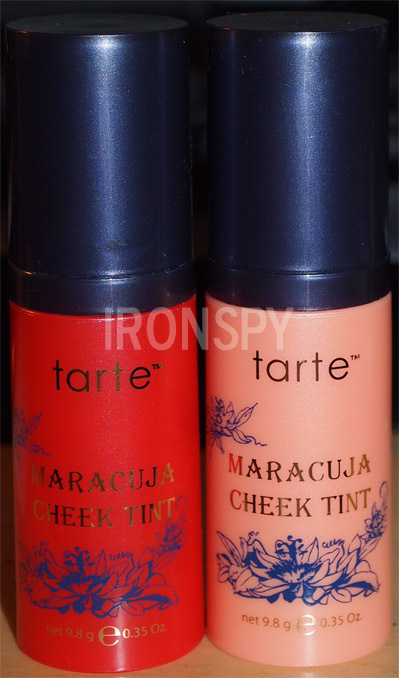 Tarte recently debuted a new cheek product on QVC, a gel-based tint called Maracuja Cheek Tint ($25/.35oz). They come in a mini pump, like the Make Up For Ever cream blush. Unlike the MUFE formula, which is an uber pigmented, somewhat dry cream, the Tarte tints are a sheer yet buildable gel. And they wear FOREVER. Seriously, much longer than their current cheek stain line up, even though those still wear great as well. 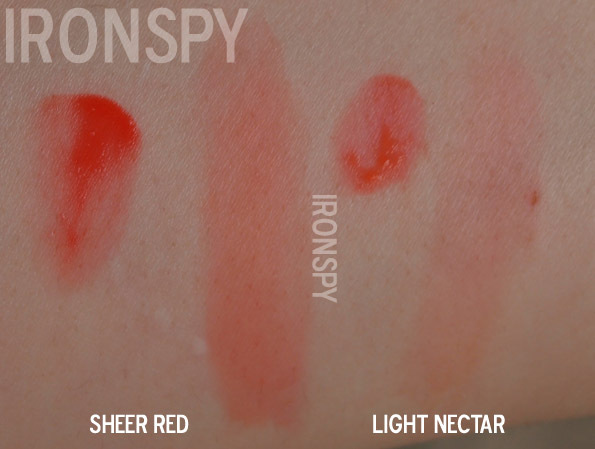 The two shades I got were Sheer Red and Light Nectar. Sheer Red is a warm, slightly orange red, that’s buildable so will be suitable for all warm skin tones. 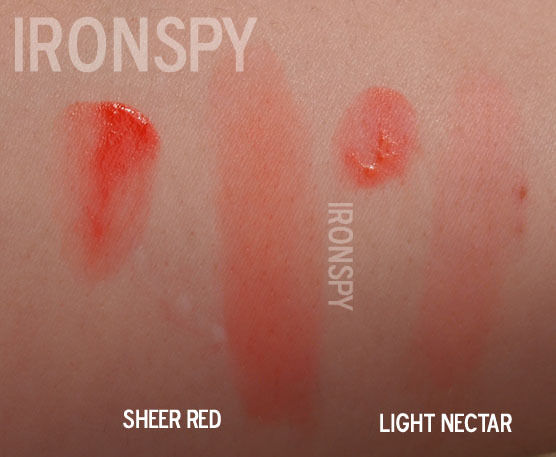 Light Nectar is a bright reddish peach, great for light to medium tones. So pretty! Here I put on Sheer Red to demonstrate how natural it can look when applied on cheeks and lips. Ignore the terrible brows and skin. I thought it was a TM day but macro shots of my face prove it to be a more full coverage day haha. I love these things! I can’t wait to get the other 2 available. In their line of cheek stains, Sheer Red would probably be closest to Natural Beauty, but they are still very different. 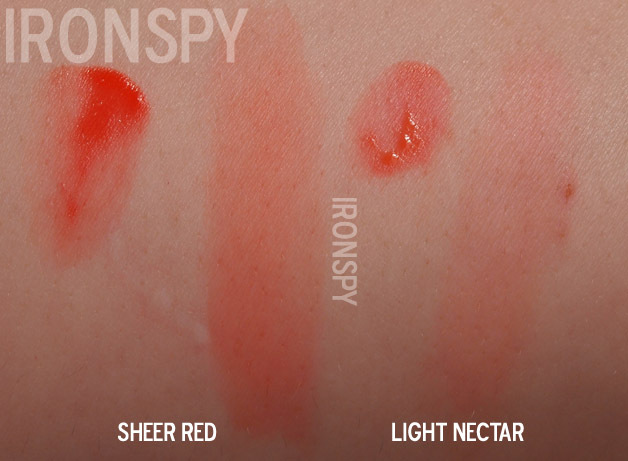 Natural Beauty is more of a neutral red, whereas Sheer Red is definitely a warm red. Light Nectar is similar to Blissful, but a bit brighter. I hope they release tons more colors!